When I first visited Buffalo, New York in 2001, it was February and I hated it. I complained ad nauseam. It was cold, dark and dreary and I vowed to never return again but I was in L-O-V-E and needed to hide my disdain. I failed. The city was certainly not any colder than Chicago, my hometown, but I found reason after reason to dislike the Queen City. Starbucks and Ann Taylor had yet to arrive and I couldn’t walk to any shops or bars. The downtown was desolate and by comparison to Washington DC and New York City, it was small and boring. As New York State’s second largest city, I expected more. While I wouldn’t rush to move to Buffalo (and to be clear I have no reason to contemplate such a move), I stand corrected. Buffalo has grown on me. I have returned a few times for work mostly with my head lowered and my countdown clock going strong but on my last visit I finally figured out that the people are the driving force behind Buffalos’s allure. Buffalonians are proud and hearty people. They reflect on the positives the city has to offer rather than the negatives and the proof is in their relentless efforts to bring economic opportunities to the region. Buffalo has been fighting its way back to greatness since the demise of the Erie Canal at the end of the 19th Century. Similar to other Rust Belt cities, the decline of manufacturing stunted Buffalo’s growth and much of the population abandoned downtown for nearby suburbs. That is changing as more and more Buffalonians young and old come home to the City of Good Neighbors. 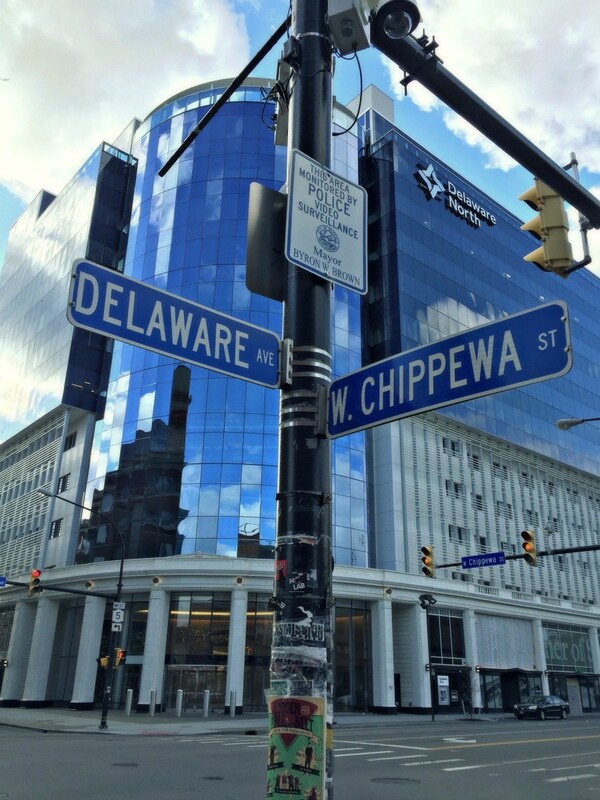 On a recent trip to Buffalo, I decided to explore the city from the perspective of a traveler. 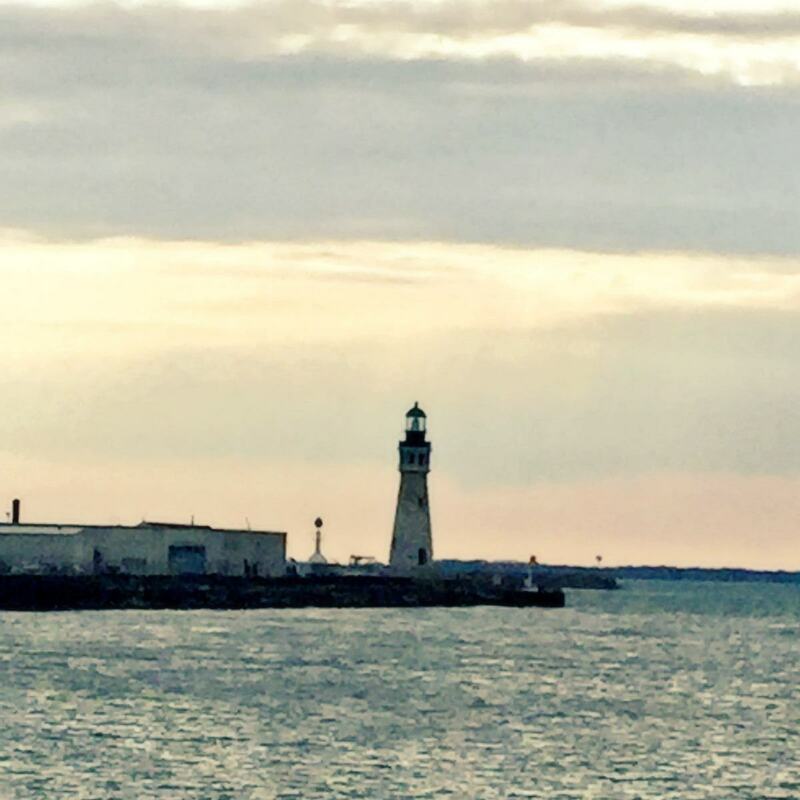 Why visit Buffalo? It’s a city with two professional sports teams, a beckoning lakefront and a rich and interesting history. It serves as the gateway to Niagara Falls and the Canadian border and there is plenty to see and do. A short 15-minute drive for Buffalo Niagara airport will land you right in the center of activity. Buffalo will satisfy every craving whether it’s an architectural tour at Frank Lloyd Wright’s Martin House and his Fontana Boathouse or a stop in Elmwood Village to marvel at the Victorian style homes or maybe a visit to the Silo City Grain Elevators for a chance to go back in time. 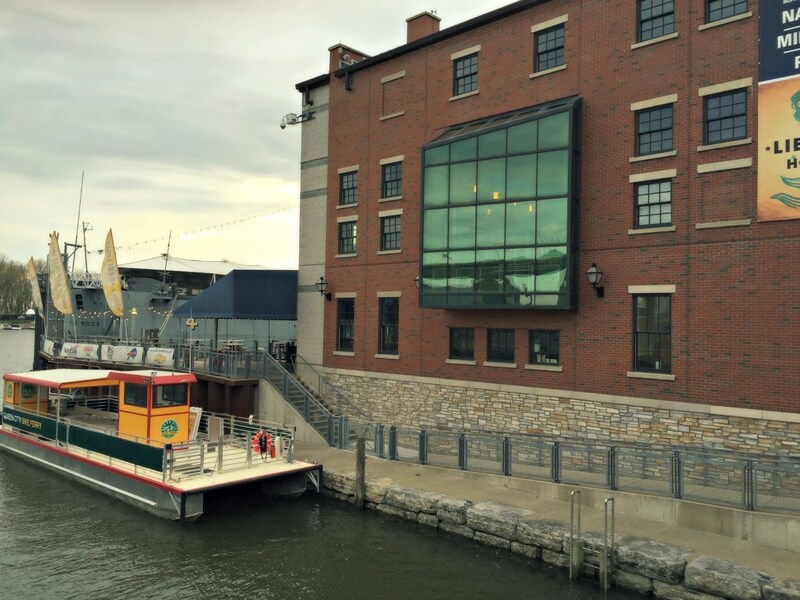 If the Queen City is on your destination list, then definitely carve out time to visit Canalside and listen to locals buzzing with excitement. I braved the overcast skies and flurries *(yes it’s possibly in late spring) to find out for myself if the area lives up to the hype. I hopped on the NFTA Metro Rail, which runs along Main Street and is free downtown. It dropped me at the end of the line at Erie Canal Harbor Station and I fumbled my way around until I realized everything seemed shiny and new. Canalside is a redevelopment project that once served as the western terminus of the Erie Canal. 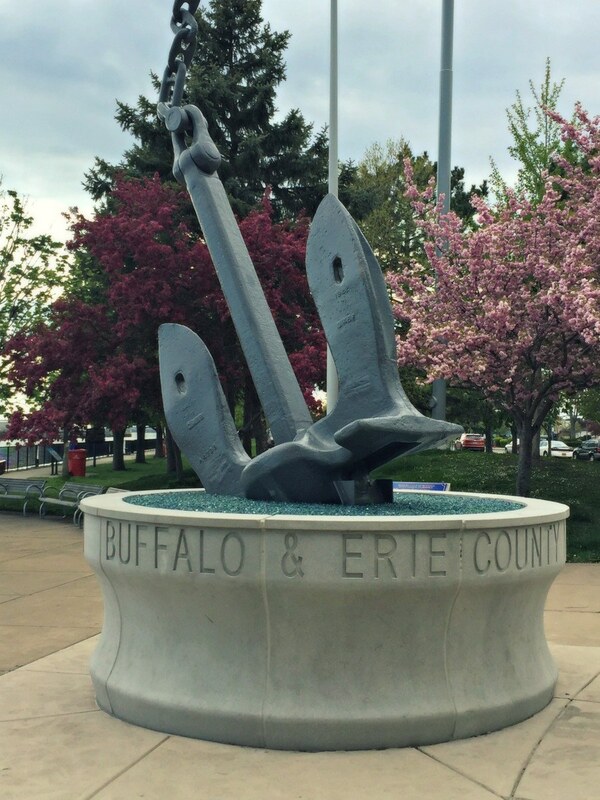 It is now a lively area with restaurants, bars, the Buffalo and Erie County Naval and Military Park and the reconstructed Commercial Slip that once formed a boundary of the Canal District. 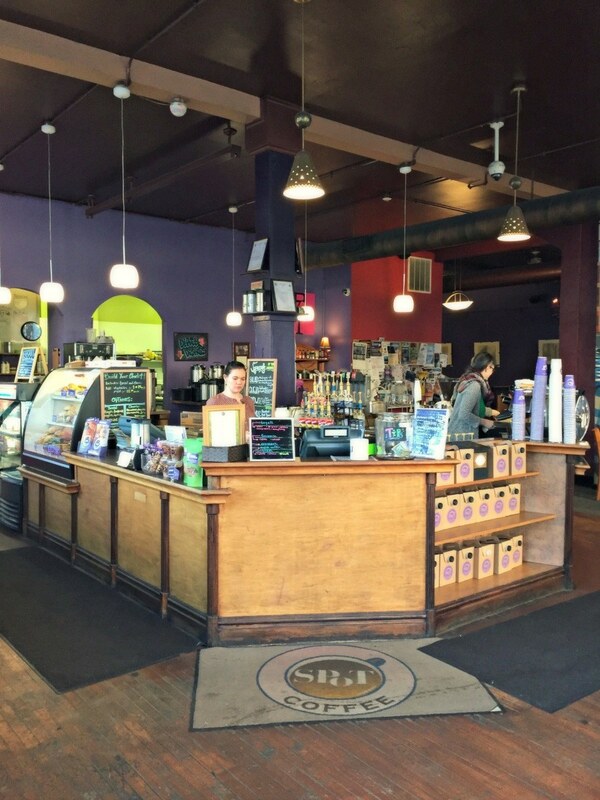 It’s a great spot to grab a drink or bite to eat and learn more about the city’s past. I sampled a 716 Kölsch style beer brewed by Flying Bison Brewing Company at Liberty Hound and swapped stories with the bartender originally from Chicago and a White Sox fan. When I explained to him my recent re-discovery of Buffalo, he insisted I cross the street and investigate the offerings of HarborCenter, a hockey themed complex with rinks, restaurants and hotels. I wandered through 716 Restaurant and thought if only New York City had a sports bar like this place, I might actually follow the Yankees. 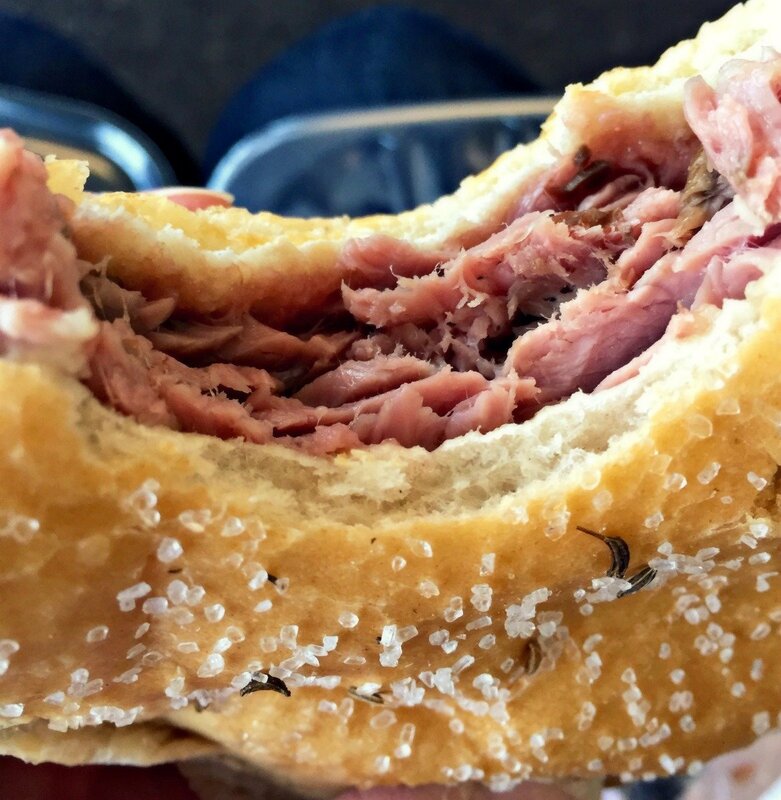 No visit to Buffalo is complete without biting into something delicious so save room for Charlie the Butcher’s Beef on Weck sandwich served with mustard and a pickle or the Anchor Bar’s original Buffalo Wings and secret sauce. If you are like me and enjoy a sweet tooth, then Watson’s and their chocolate-dipped sponge is the place for you. This time I departed Buffalo with only one disappointment: No Uber. New York State has not granted a license to the company and Buffalo definitely needs it. Rent a car and explore anyway.